Where Geoengineering Via Chemtrails Meets The Global Carbon Control Matrix One World Government Initially Emerging As Global CO2 ‘Management’ Regime Ultimately, it’s all about exerting absolute power and control over every square inch of Planet Earth and its atmosphere. There is an ongoing, covert and meticulously planned plot afoot that is being implemented 24/7 worldwide. It goes way beyond Agenda 21 in scope, but uses that UN plan to accomplish its goals. This clandestine agenda is being executed in order to impose a new global CO2 ‘management’ regime. Doing so is the penultimate step in securing complete control over all of Earth’s natural resources and atmosphere. Operation Indigo Skyfold* has been implementing a global geoenginnering program by way of relentless chemtrail spraying. What is also known, by DARPA’s own admission, is that HAARP (High Frequency Active Auroral Research Program) has been used to pump billions, if not trillions, of watts of energy into the ionosphere, thus heating it to an extraordinary degree. HAARP has also been used to convey frequencies through chemclouds which were fabricated by chemtrail spraying. Together with highly advanced satellite-based technologies, this type of stratospheric engineering has undoubtedly had major impacts on the global warming phase of the current climate change cycle. Once they have achieved the necessary technological goals to prevail in weather warfare anywhere on the planet, the NWO globalists will feel less constrained to implement the more draconian aspects of their upcoming One World Government. These include a number of depopulation events employing a deadly combination of mandatory vaccination programs for the young and elderly, as well as a chemtrail-delivered dose of toxic chemicals and viruses and Nano-experiments from chem-cloud rains for everyone else. Thank you Eartheart and Trancoso for your input. The video is extremely relevant because the basic building block in the food cycle (plankton) from the world's oceans is being destroyed. Destroy plankton you destroy the food chain that all marine life and eventually human life depends on...a warming Arctic implies catastropic methane releases into the atmosphere which could doom the planet. We see the results in all marine life now yet the political dummies of the G7 nations couldn't give a hoot...they are waiting until the end of this century. diseases and as well as the currently widespread and increasing debilitation of Earth’s biota. Scientific evidence now exists which indicates the presence of “toxic coal combustion fly ash” in the Earth’s atmosphere. The following excerpt from the relevant article abstract, which appears under the above quoted title, was just published in the August 11th issue of the peer-reviewed International Journal of Environmental Research and Public Health. The interplay of political, military, and commercial interests during World War II led to the development and grand-scale deployment of a host of herbicides and pesticides such as dichlorodiphenyltrichloroethane (DDT). In her 1962 book Silent Spring  Rachel Carson called attention to the unintended consequences of herbicide and pesticide use, and launched the modern environmental movement. Half a century later there is growing evidence of a grave new and persistent global environmental health threat, again fomented by the interplay of political, military, and commercial interests. To date this new threat, posed by widespread, intentional tropospheric aerosol-particulate emplacement, has gone unremarked in the scientific literature for more than one decade. Here, based upon original research, the author discloses substantial evidence as to the identification and nature of the specific particulate substance involved and begins to describe the extent of this global public health and environmental threat. Ijerph 12 09375 g001 1024 Figure 1. Composite of four images of the blue sky over San Diego taken on cloudless days showing various instances of the on-going daily tanker-jet spraying of ultrafine-particulates into the troposphere. Upper Left: Spraying just started. Note that one tanker-jet turned off the spray in mid-flight. The “clouds” are dispersed particulates; Lower Right: Overcast “clouds” produced by intense tanker-jet emplacement of particulates. Table	Table 1. Average chemical composition of the 23 un-leached and leached (leachate) European coal fly ash samples from Moreno et al. .
Ijerph 12 09375 g002 1024 Figure 2. The average leachate chemical concentration of each of the 38 elements from the 23 different sources of European coal fly ash (Table 1) studied by , normalized to aluminum so as to facilitate comparison with analyzed post-aerosol-spraying rainwater. Elements of lower concentration are not shown. Red leachate elements correspond to those measured in San Diego rainwater (Figure 3), from left to right, Boron, Magnesium, Aluminum, Sulfur, Calcium, Iron, Strontium and Barium. Ijerph 12 09375 g003 1024 Figure 3. The chemical concentrations of 8 elements, normalized to aluminum, measured in post-aerosol-spraying San Diego rainwater for comparison with similar average element ratios in the leachate of coal fly ash from Figure 1. This figure shows that post-spraying rainwater leached the same elements, in similar proportions, to the elements leached from coal fly ash in laboratory investigations . This is strong evidence that the substance emplaced into the troposphere is coal fly ash. At a 99% confidence interval, the two sets of data have the same mean (T-test) and the same variance (F-test). Ijerph 12 09375 g004 1024 Figure 4. The chemical concentrations of 14 chemical elements, normalized to aluminum, measured in the Los Angeles HEPA air filter dust for comparison with corresponding average element ratios for un-leached coal fly ash (Table 1) data from . This figure shows the 14 elements measured in the collected filter dust occur in the same relative proportions as similar elements in un-leached coal fly ash from published laboratory investigations . This is strong evidence that the substance emplaced into the troposphere is coal fly ash. At a 99% confidence interval, the two sets of data have the same mean (T-test) and the same variance (F-test). Ijerph 12 09375 g005 1024 Figure 5. This figure is a plot of the normalized high and low value for each of the 14 respective elements from un-leached coal fly ash . 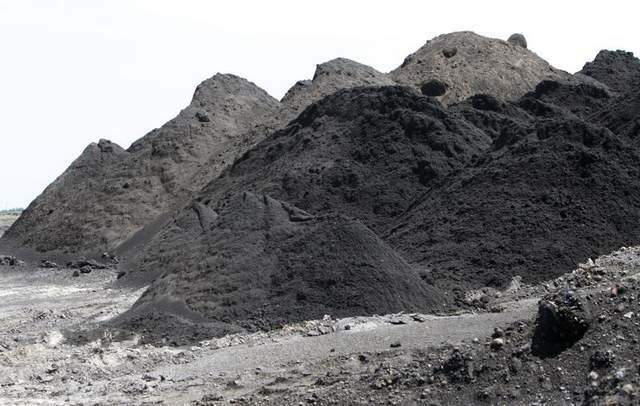 It provides an indication of the range of variation in un-leached coal fly ash material from different sources. This natural variation in coal fly ash elemental compositions may help to explain the variations observed in Figure 3 and Figure 4. Long exposure to air pollution particulates, not necessarily coal fly ash, in sizes ≤ 2.5µm (PM2.5) is associated with morbidity and premature mortality [18,19]. One may therefore reasonably conclude that aerosolized coal fly ash, at least the PM2.5 component, is detrimental to human health. Although aluminum is abundant in the Earth’s crust, it is highly immobile. Consequently, our planet’s biota, including humans, have not developed natural defense mechanisms for exposure to chemically mobile aluminum. It is a matter of grave concern that aluminum in a chemically mobile form can be readily extracted from coal fly ash with rainwater or in situ with body fluids. Aluminum is implicated in such neurological diseases as autism spectrum disorder (ASD), Alzheimer’s disease, Parkinson’s disease, and attention deficit hyperactivity disorder (ADHD) [33,34,35,36,37] all of which have markedly increased in recent years. Aluminum is thought to impair fertility in men  and is also implicated in neurological disorders of bees and other creatures [39,40,41]. I thank Ian Baldwin for many helpful discussions, criticisms, and advice. I thank Weidan Zhou for professional statistics advice. Fixing the Sky: The Checkered History of Weathe and Climate Control. Available online: http://jah.oxfordjournals.org/content/98/1/169.short (accessed on 29 June 2015). Weather as a Force Multiplier: Owning the Weather in 2025. Available online: http://csat.au.af.mil/2025/volume3/vol3ch15.pdf (accessed on 29 June 2015). Das Chemtrailhandbuch. Available online: http://www.Sauberer-himmel.com (accessed on 25 July 2015). Geoengineering. Available online: http://www.globalskywatch.com (accessed on 25 July 2015). Test Results. Available online: http://losangelesskywatch.Org/lab-test-results (accessed on 31 May 2015). Hvistendahl, M. Coal Ash is More Radioactive than Nuclear Waste. Available online: http://www.reboundhealth.com/cms/images/pdf/NewspaperandArticle/coalashismoreradioactivethannuclearwaste%20id%2016693.pdf (accessed on 29 June 2015). Particulates Effect on Rainfall. Available online: http://svs.gsfc.nasa.gov/cgi-bin/details.cgi?aid=20010 (accessed on 31 May 2015). Very smart, these things tend to disappear all of a sudden. James Corbett report on Global Research TV. Disaster of Chemtrails Geoengineering Worse Than Carbon Dioxide. For decades now, we have been told to be afraid of the long-term effects of manmade carbon dioxide on our climate. Seemingly every day some new storm, drought, warm spell or cold snap is featured on the news, with government-funded scientists warning us that this is a sign of things to come unless the world reduces its CO2 production. Peter Kirby is the author of the new book Chemtrails Exposed: A New Manhattan Project. Today we tackle the two questions most frequently asked by chemtrail skeptics: would the government do something like this and could they do something like this. We also talk about John Brennan's recent call for stratospheric aerosol injection and a 2016 study on the health effects of stratospheric aerosols. Im pleased I watched this. It reminds me why I dont like you-tube. It was 100% unadulterated BS. What sheer nonsense this guy spouts. What a waste of energy and resources. It reminds me that I wont miss you-tube at all, except for perhaps some spanish language lessons. I wont be pestering you all for a while, so thats good news. I am at the end of my internet stint, I have a weeks worth of videos to watch offline somewhere, somewhen. But I am offline again in a couple of days. I am beginning to lump the chemtrailers with the flat earthers, same ridiculous dogma completely ungrounded in any scientific or observational reality. Can I remind folk, if there is a visible gap between an aircraft engine and a 'plume' behind it then by the laws of physics and chemistry, that has to be a gas that is condensing. 100%, all of the time. Metals dont condense. Particulate matter does not condense. Not ever. This video shows contrails, and thats it. Water vapour. there is a huge increase in the number of aircraft in the skies these days. Ok, by now I hope you all realise that CO2 is perfectly harmless and does not, and can not, in ANY way known to science, contribute to temperature change. CO2 concentrations are ALWAYS effected by temperature, but never the other way round, you cant have the cart pulling the horse. Speaking of horses, the greenhouse gas theory is probably all horse-sh1t, the big oil boys and the banks hijacked the environmental movement a long while back, heck, they may have even created the environmental movement to steer it in their chosen direction. Social media is a bane on modern life and great for perpetuating their lies and deceit. Now here's the rub, IF greenhouse theory is true, then there is only ONE gas worth considering, water vapour! yep, its CONTRAILS that will affect climate, and not chemtrails. Its contrails that will block the sun, not chemtrails. Are contrails welcome in our skies? No, of course not. Are they damaging to the planet, of course they are (they do contain exhasut gas pollution as do car engines, they are NOT healthy!). Are these contrails being used for geo-engineering purposes? Quite probably, but call them by what they are, contrails. they are NOT chemtrails. Did I mention chemtrails enough yet? chemtrails, chemtrails, chemtrails (terror, need a quick terror injection), chemtrails.. enough yet? i certainly have had enough of hearing about chemtrails. Now, I came into this area from the ground up, I am an aquatic ecologist, or was, but you never lose the passion. I posted above the levels of aluminium, barium, etc in the water. This is disturbing! The loss of aquatic beasties around the planet is of huge concern (which is probably why its not in social media, it is a real phenomena, not a banskter driver hoax). Metals dont condense, so they are not coming from contrails, but where? I saw my first wasp of the year yesterday! it was moribund as winter is coming. Where were the flying insects this year? Who the feck is damaging my precious dragonfly populations? These are real concerns and real issues. So they are not talked about in mainstream, lets stick with terror and CO2 and chemtrails. For clarification, can I say I would not be in the least surprised if they were flying military and other specialised aircraft in the stratosphere, well above commercial air lanes, which are spraying chemicals. I know geo-engineering is real, they were cloud seeding Texas during the recent hurricanes, which were almost certainly man made, using HAARP or similar technologies. Folk, the planet is in a mess, and the industrial-military complex are doing their damnedest to make it worse, but please, please, stop with the chemtrail nonsense. Yesterday, we discussed how the Paris Agreement on climate change may soon fail. Even if it continues, Donald Trump will likely pull the US out of the process. Either way, we’ll likely soon be committed to a world that’s 2°C warmer – and maybe much more. This takes us well into the “danger zone” of unacceptable warming. This will bring sea-level rise, extinctions, crop failure and extreme weather. By spraying a fine mist of particles into the stratosphere, we can control that warming – even if we’re slow to reduce our greenhouse gas emissions. This process mimics the natural cooling from volcanoes. It’s called SRM: solar radiation management. But the stratosphere is a long way up – and reaching it with conventional aircraft is difficult, polluting and expensive. If you’re going to deliver some serious volumes of material, you’ll need a specially-designed plane to get there. Now, a team has produced a design for just such a plane. The project is called Stratospheric Aerosol Geoengineering Aircraft (SAGA). It has been developed at the Delft University of Technology, in the Netherlands. The plane is designed specifically for SRM geoengineering operations. This is a big change, as previous studies have typically looked at existing aircraft. This jet (pictured below) might not look pretty, but it could mark a revolutionary change in our climate, politics and economy. “Why bother with a new design?” you might ask. Current aircraft are designed for specific jobs. Airliners are designed to fly quite high and quite fast. The cargo jets that are based on them share similar flight characteristics. However, these aircraft aren’t capable of flying high enough to conduct geoengineering. For examples of very high-altitude jets, you have to look at small, specialist aircraft – such as fighter jets and spy planes. These have tiny payloads and are very expensive to operate. Using them for geoengineering would be like using a Mini to take 20 tonnes of potatoes from Poland to Newcastle. You could do it in multiple trips, but at some point you’d just have to admit that you’d got the wrong vehicle for the job. That’s exactly why the team from Delft University has done such an interesting job with its new design. Its aircraft is designed for SRM geoengineering – and nothing else. So how’s it different? We can compare it to a Boeing 747, with which you’ll probably be familiar. Firstly, the SAGA plane is designed to go a lot higher – around half as high again. That’s the key design challenge – and more on that later. The problem is that I dont believe ANY of the reported temperature data. What warming? Its all lies, and deceit. I have no problem believing they have specialised aircraft for spraying all sorts of sh1t in the name of 'global warming'. I suggest foilk read through the real climate science posts, there was a nice graphic which showed no data stations in Africa, so they made up record high temperatures in Africa, and used these data to massively adjust global average temperatures. If anything, we are entering an ice age. Global warming is a hoax, as is CO2 driving temperature, as are chemtrails. my typo almost read 'shamtrails', freudian peut-etre? BTW the glaciers are NOT melting, penguin populations are under threat as there is too much ice! Sea levels have been falling, there is no sea level rise. two words should be enough! : Al Gore. i rest my case, the muppets are running the fraud. Vidya Moksha wrote: The problem is that I dont believe ANY of the reported temperature data. What warming? I agree with you Vidhya. There are huge profits to be made by the chemical industries out of geo engeneering our skies I believe. Record cold and snow gripping Western Canada + parts of the US. @ -20-30C and 5x old records being broken with the latest rounds of epic snowfall. Eastern Canada and snow belt areas of the eastern Great Lakes dumped on with early snows, hail and thunder storms squeezed between fronts across Ontario. Record cold descending to Florida, and they are now pushing heavy in the media to dim our skies to stop a warming planet. Well from what I see we don't need the program in N. America or Europe as cooling is occurring on its own with the help of the intensifying grand solar minimum. this is more interesting for sure. My immediate thought during the video was that there would be chemtrails on the ground at take off and landing, and taxi - ing on the runways. So fuel tanks would have to switched for this purpose, and unless that is fully automated, it would mean that ALL 747 pilots are aware of this happening, and in which case, surely somebody would have said something. There is NOTHING in this video that is proof of chemtrails, but it is interesting, I have downloaded it and will look further into this. when i get the chance. It would certainly explain the gap between gas and liquid, aluminium in a gaseous form leaving the engine. And groundwater studies have shown high levels of aluminium, they are even creating GMO plants that are resistant to aluminium, so something, somewhere, somehow, is happen with Aluminium, and it is so very toxic to biological life..
okay... only a quick look, i will look further, but I think tri-methyl aluminium (TMA) is not being used..
first of all, how does combustion work? it needs 3 components, fuel, oxygen and a fire. So to suggest there is no oxygen in the engine to create aluminium oxide is wrong. If oxygen is present then aluminium oxide is being formed, and that is impossible in an engine. so, back to the video, There are some things they didn't mention. 1. They only added TMA to the afterburner fuel because aluminium oxide is what sandpaper is made from. It is the second hardest and abrasive material on earth, one number on the Mohs scale below diamonds, which means it can't be used in the regular engine as it will destroy the moving parts. 2. TMA burns on contact with air. Which made handling TMA very difficult and dangerous. Pyrophoric materials are banned from carriage on aircraft as fire hazards. 3. They are quoting directly from a USAF technical paper which studied the use of TMA. What they didn't tell you was that the same paper discounted the use of TMA for the reasons listed above. They don't tell you that because it debunks their entire argument. The aluminum trimethyl additive to the hydrocarbon fuel resulted in only marginal improvement in afterburner performance. Combustion efficiency and stability limits at low afterburner equivalence ratios were slightly improved. However, the aluminum trimethyl additive presented difficult operational problems because the fuel-additive mixture was unstable and reacted on contact with air. A purge system was required to make the fuel system inert before and after each test, and the fuel additive mixture had to be stored under an inert atmosphere. so I am calling BS on this video too, i still dont believe chemtrails are real. they are contrails unless someone has some EMPIRICAL data to prove otherwise, and I have found ZERO empirical studies, just lots of hot air and conspiracy nonsense. ok folk, I know it's almost de-rigueur to believe in chemtrails these days, and i suggested way back that i would be called a heretic for my views, but this is my last day online for a while, so let me explain my own ideas/ research on this matter, as I dislike the white lines filling the sky as much as anyone. Contrails are what we see in the sky, regardless of the specific chemical and/or mechanism creating them, they are still, always, contrails. 'Chemtrails' exist, in a fashion, but we have never seen them. When elements—barium, strontium, sulfur, silver iodide and others—are dispersed in the sky for geoengineering purposes these elements are at nano-scale. Think—if we inject a boulder into the sky at 30-40,000 feet (standard flight level) then the boulder is going to drop like a rock through the roof of your house. And you'll be pissed off. Therefore there is a need to inject materials into the atmosphere at 30-40,000 feet THAT WILL STAY UP THERE AND FLOAT AROUND FOR AS LONG AS POSSIBLE. SO ALL materials injected into the atmosphere, for whatever reason, are always at nano-scale where geoengineering is concerned. ALWAYS AT NANO-SCALE, always at altitude. For this reason, when we see "white lines in the sky" we are seeing moisture, ice crystals and the make-up of what is a contrail. When we see NOTHING we need to worry because ALL ELEMENTS INJECTED INTO THE SKY AT NANO-SCALE are infinitely small, can't be seen by the naked eye, disperse rapidly (and are designed to) so that they become homogenized (standard geoengineering term) with the atmosphere, so that they "blend in" and stay up there riding the several jet streams for at least months, but they hope for years and of course they do know now that these elements do, almost all of the time and almost all of the tested elements (100s) stay afloat 30-40,000 feet above our heads for years. The problem with "chemtrails," (to use a word that technically doesn't exist in the English language but one that many people define as "really bad chemicals being sprayed by the CIA, government, Illuminati, Jesuits, billionaires, or some other group) in the skies above EVERYONE'S head in the air is that EVERYONE (including the CIA, government, Illuminati, Jesuits, billionaires, or some other group) also breathes this sh1t. Geoengineering is a very new human science, it started in 1947 when they learned that silver iodide in 50 gram amounts, at very small scale (and then at nano-scale when nano-tech was developed between 1955 and 1975) makes it rain. It only works about 0-11% of the time and it can only increase rain when it does work, by 20%, no more. But 50 grams of silver iodide would fit in a couple of pharmaceutical capsules and is really cheap, so there are a dozen weather modification companies in every US state injecting that into the atmosphere above vast farmlands every single day and, since 1947 when we discovered it works. There are 2 primary methods of distributing the chemicals. Generally, simple flares are used. 6-12 road flares on each wing, fly up, hit 30-40,000 feet flight level, electronically light flares, flares last a few minutes, flares give off silver iodide (and other, at this point because they're burning, GASES) which makes the burning elements since they're now GASES leave the plane at nano-scale. And we can't see that. It occurs at 30-40,000 feet (several miles) and it doesn't make white lines in the sky. Gases are being dispersed and the homogenize with the atmosphere immediately. 'They' test sh1t ALL THE TIME up there, try all sorts of different things, but they don't know jack sh1t about releasing chemicals in the atmosphere (mostly because there are already 1000s of chemicals up there and when they put one, just one, into the atmosphere it can have an effect 1000s of miles away 2 years later). So at this point in time we are like the blind leading the blind in geo paper reviews. When they inject a chemical into the atmosphere it takes us 3-5 years to study the results and arrive at conjecture, not fact, yet. This is a NEW science to humans. Except for the rain thing. They can't control storms with these geo-engineering techniques (Note: I am NOT including HAARP technologies, this is just chemical geo-engineering I am talking about) though they can increase and decrease intensity but not in a working fashion, this is all new technology. 'Chemtrails' dont exists, but they do spray chemicals into the atmosphere that CAN NOT BE SEEN. As regards the claim that there's aluminum in the chemtrails, I remembering reading/hearing recently some 'whistleblower' type saying that aluminum IS what's in them but it's to SERVE the planet. As aluminum is what's used to block radiation in everything from X-rays to space shuttles, it is being put into the atmosphere to build a type of 'Faraday Cage' around the planet to prevent damage by the huge bursts of solar radiation from the Sun that so many fear will strike us one day. And that made sense to me little, unscientific-minded me as I know that aluminum IS used for this purpose. So maybe it's worthy of consideration in these arguments. Maybe one of the cleverer people on the forum can remember or will know who stated this. Sanicle wrote: As regards the claim that there's aluminum in the chemtrails, I remembering reading/hearing recently some 'whistleblower' type saying that aluminum IS what's in them but it's to SERVE the planet. As aluminum is what's used to block radiation in everything from X-rays to space shuttles, it is being put into the atmosphere to build a type of 'Faraday Cage' around the planet to prevent damage by the huge bursts of solar radiation from the Sun that so many fear will strike us one day. And that made sense to me little, unscientific-minded me as I know that aluminum IS used for this purpose. So maybe it's worthy of consideration in these arguments. There are so many claims and so little (actually, no) evidence. I do know for almost certain that chemtrails do not exist as people think they understand them. They are NOT the white lines in the sky, they are contrails. When I hear the term chemtrail, I am immediately put on alert and dont trust any thing else that is said or presented. Simple. easy scientific facts easily disprove the chemtrail hysteria. Its all designed for distraction. When folk spout about such nonsense I ask them if they have heard of simazine, and if not, why not? I also know, more or less for sure, that Aluminium can not be in contrails, it is too damaging to aircraft. I am not saying aluminium is not present, it is being found in groundwater (from where? ), but it is likely to be released (it at all) in nano concentrations by specialist aircraft well above commercial air line corridors. I still remember Seashore once telling me that I could not have a valid opinion about flat earth as I didnt watch you-tube. I am beginning to think the opposite is true, you-tube seems to be robbing people of their common sense and old fashioned basic fact checking. There are so many nonsense videos being posted, sadly a fair number in these pages. I still dont buy into any of the global warming hysteria. History and a look back (before it was hijacked by the banksters) would suggest we are heading into an ice age. Vidya, I know for a fact that contrails exist as the fibers floated down from overhead and draped the telephone lines, all over our cars, on the grass, etc. People who touched those fibers came down with respiratory illness. This actually happened where I lived and we took samples to have them analyzed. Some of those results came back as unknown. This was in Oregon. So before making judgments, please keep in mind chemtrails are real and even worse in highly populated areas. We've even seen them here in Hawaii hanging on the fence. Not so bad here as when we lived on the mainland where a blue sky was crossed crossed with chem trails and it become a murkey looking sky instead of a clear blue sky. Chemtrails are not natural cloud cover, it is a chemical overlay some of which the military use to monitor air traffic from outer space (ET). I'm also aware due to an immunologist's research, my personal physician in Sacramento, that the government was spraying experimental bio-chemical contaminants in the air in certain areas (Lake Tahoe was the first biochemical experiment site) where people came down with respiratory illnesses that resulted in incurable CFS/FM, which I ended up with. So don't think that the government isn't experimenting biochemical weapons on it's own citizens because there are years and years worth of documented evidence that it is to which I can personally testify to. Carol wrote: Vidya, I know for a fact that contrails exist as the fibers floated down from overhead and draped the telephone lines, all over our cars, on the grass, etc. People who touched those fibers came down with respiratory illness. This actually happened where I lived and we took samples to have them analyzed. Some of those results came back as unknown. This was in Oregon. So before making judgments, please keep in mind chemtrails are real and even worse in highly populated areas. We've even seen them here in Hawaii hanging on the fence. Not so bad here as when we lived on the mainland where a blue sky was crossed crossed with chem trails and it become a murkey looking sky instead of a clear blue sky. Chemtrails are not natural cloud cover, it is a chemical overlay some of which the military use to monitor air traffic from outer space (ET). I'm also aware due to an immunologist's research, my personal physician in Sacramento, that the government was spraying experimental bio-chemical contaminants in the air in certain areas (Lake Tahoe was the first biochemical experiment site) where people came down with respiratory illnesses that resulted in incurable CFS/FM, which I ended up with. So don't think that the government isn't experimenting biochemical weapons on it's own citizens because there are years and years worth of documented evidence that it is to which I can personally testify to. I am not making judgements, just reporting facts. I repeated stated that geo engineering is real and they spray all sorts of stuff into the air. Was it Morgellan's fibres that made the news a while back? I am not doubting any of what you state, in fact I quite agree, we are being experimented upon and all sorts of things are being put in the air. What I am saying, quite unequivocally, is the white plumes coming out of the back of commercial aircraft are not chemtrails, but contrails. The distinction is important, it is not just semantics. Folk are claiming contrails to be chemtrails, and that is nonsense. It's true that white plumes coming out of the back of commercial aircraft are not chemtrails, but contrails. Chemtrails are dispersed out of unidentified military aircraft.